Will Craig Levein name Garry O'Connor in his Scotland squad this week? Is that the right decision? O'Connor's form has been exceptional since he came back to the SPL. He's excelled in a struggling side. Hibs aren't a one man team but they've been pretty close to it at times. His return hasn't been without distractions but it's suggested that his conduct and attitude at the club have been exemplary. And he's a Scottish striker banging in goals. Those are the reasons to pick him. Levein will, and here I'll admit that I'm not one of those Hibs fans who thinks the Scotland manager actively pursues an anti-Hibernian agenda, have considered those reasons. But I suspect he still discounted O'Connor as a realistic candidate for selection. Any recall would seem to go against the continuity of a close knit squad that Levein wants to foster. Even if he was to name him in the squad it's unlikely that he would figure in the manager's immediate plans. No harm in having a striker in a rich vein of form as a back-up though. And that's where O'Connor's off field distractions are likely to have become too much of a complication for Levein. Pick him, even with little intention of playing him, and the squad announcement and the build up to the games becomes a Garry O'Connor themed sideshow. Active legal proceedings, a Channel 4 documentary, previous run-ins with a Scotland manager. It's an unfortunate list. Levein, always on the defensive with the press, would be forced to either tackle or dodge question after question about O'Connor. It's a hassle that neither the manager nor the rest of the squad would want to deal with as they prepare for the games ahead. Frankly it's a hassle that O'Connor, who has yet to prove his resurgence can be maintained in the long term, could do without. There are footballing reason to pick Garry O'Connor and there are footballing reasons not to pick him. The most sensible decision is based on more than just footballing reasons. It's the option that best allows the manager and his squad to concentrate on the task in hand, futile as that task might be. And that leaves Garry O'Connor sitting at home when the squad get together. A touch of podcasting on Tuesday with The Football Project. 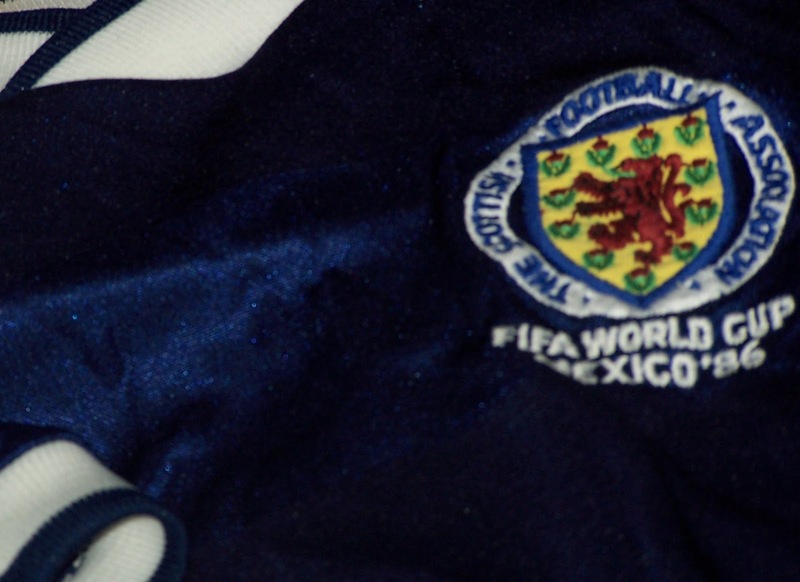 Host Ryan Kearney (@smallramblings) was joined by Gary Linton (@Linton1388), Paul Fisher (@steakheed) and my good self to talk Scottish football. Just what's being going wrong at Hibs? What is the point of Paulo Sergio? Why have Motherwell made the mother of all starts to the season? And what are we to make of the opening skirmishes in the Old Firm's battle for the SPL title? We even touched of English football with some Neil Warnock bashing thrown in for good measure. And I round things off with a chat about the greatest player to have graced the Scottish game without playing for either half of the Old Firm. Thanks again to Ryan for inviting me on. The pleasure in supporting a team like Hibs lies not in the glory. It's in the continuity of following a team as generations of your family have before you. It's in the laughs you have along the way, the shared disappointments and the friends you make. Friends like my mate Flash. Flash died last week, just short of his 78th birthday and 75 years since he first went to Easter Road. Flash wasn't his real name. His name was Gordon Smith, although this Gordon Smith's first appearance on the terrace at Easter Road came five years before he was to be thrilled by another Gordon Smith signing for Hibs. I suppose Flash was called "Flash" because he was a photographer -a damn fine one - and he was called Gordon. Nicknames are never wholly original. But the nickname and his camera became his trademarks. He lived a fairly typical sort of life in Edinburgh. He worked for Ferranti, married with no children. Like many of his generation "gap" years were thrust upon him with a stint in Korea. We maybe made a fairly odd couple. I might be old beyond my years (I certainly look it) but the best part of five decades and the experiences of different generations separated us. But we had mutual friends, we liked a laugh, we loved a bar meal and we had Hibs. So for pushing on the last ten years we've been mates. Flash wasn't unique in supporting Hibs. He wasn't unique in supporting the same club for seven decades or more. But maybe the dedication of guys like Flash - and it was often a myopic dedication, a couple of weeks ago he said he had a picture of me with that "stupid" manager and that might have been as critical of Hibs as he got - deserves to be celebrated as much as his storied namesake. Players, managers, directors. They come and they go. The fans stay. The economics of football changes. But at their best our clubs are part of their communities. That's embodied by people like Flash. "Oh, aye. I was speaking to your granny on the bus last week." There's not enough of that kind of connection left in the game. We should cherish it where it remains as much as we rail against rising prices and soaring wages. Flash saw Hibs win the league when he was in his teens. In his 40s Pat Stanton inspired Turnbull's Tornadoes. In his 60s he saw Hibs play in Trinidad. In his 70s he followed them to Ukraine. In his role as an unofficial Hibs photographer he probably captured every great - and many of the not so great - who have graced Easter Road over the years. Being photographed by him could test your patience, the apparently never ending refrain of "just one more" a constant. But the players - strangely maybe to our modern sensibilities - appreciated it. Jackie McNamara visited him when the extent of his illness became clear. John Collins phoned him. Since being widowed Flash had created a "Hall of Fame" in his house. This was a personal history of Hibs. It wouldn't be worth as much money as the baubles won by our most decorated stars. It was full of faces so famous and players so talented I just wish I had seen them play live. And it was also full of people you would never have heard of. Their connection with Flash was Hibs and friendship. A pictorial tour through the life of a football club measured not just in cups, wins, losses, relegations. But also in friendships made, nights out, pre match drinks, marriages and births. It's an alternative view of a club. But it's an important one and a story of clubs and supporters as communities that we should do more to preserve. Flash would never have thought of all this. It was just his thing. I probably wouldn't have either. It was just Flash. One of the nicest guys you could meet whose favourite team I happened to share. But since I got the sadly inevitable phone call on Friday morning I've been thinking about it more. About how it's people like Flash that are maybe the most valuable part of your football club or my football club. About how football would do well to remember that. And about how following Hibs won't be such fun anymore.